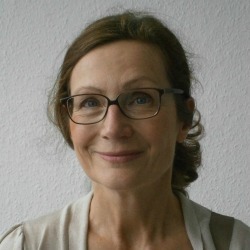 Dr. Annette Zimmer, Professor of Social Policy and Comparative Politics at Münster University was affiliated with the Program on Non-profit-Organizations at Yale University (USA) and with the John Hopkins Project. She served as the DAAD Visiting Professor at the University of Toronto (Canada), and as a visiting scholar at the American Institute for Contemporary Germany Studies (AICGS) in Washington D.C. Currently, she is a member of the Advisory Board of the German Survey on Volunteering (Freiwilligensurvey), which is funded by the Federal Government. She is the author of numerous books and articles. Most recently, she became president-elect of the International Society for Third Sector Research (ISTR). Annette is lead researcher for Third Sector Impact work area 3 (external and internal barriers to third sector development). She serves as executive board member together with Lester Salamon (JHU), Karl Henrik Sivesind (ISF) and Bernard Enjolras (ISF). Strachwitz/Zimmer (2010) Traditions of Civic Embeddedness in Germany. In: Journal of Political Ideologies. Vol. 15, No 3: 273-287. In the 19th century, Germany stood out for its heterogeneity and German society was almost as pillarized as the one of the Netherlands. The article analyzes that civil society of modern Germany is based on at least three distinctive ideological or normative traditions, in particular social democracy, catholic subsidiarity and liberalism. Evers A./ A. Zimmer (eds.) (2010) Third Sector Organizations Facing Turbulent Environments. Baden-Baden: Nomos. The chapters of the volume investigate whether, how and to what extent nonprofit or civil society organizations all over Europe have to cope with changing organizational environments regarding funding, recruitment of personnel and government support. Developments are tracked in selected countries and distinct policy fields, amongst those the art and culture, social services and sports. Wijkström/Zimmer (eds) (2011) Nordic Civil Societies at a Cross Road. Baden-Baden: Nomos. For decades membership organizations embedded in social and popular movements have been the hallmark of civil society in the Scandinavian countries. The volume analyzes the impact of trends like professionalization and marketization on Scandinavian civil societies with the goal of addressing the question: Is the Scandinavian “model” of civil society at stake? Henriksen/Smith/Zimmer (2012) At the Eve of Convergence? Transformation of Social Service Provision in Denmark, Germany, and the United States. In: Voluntas, Vol 23, No 2: 458-50. Besides government, nonprofit organizations used to be the most important providers of social services in a variety of social policy fields. However, this is no longer the case. The article investigates whether and to what extent social service provision is becoming more similar regarding the organizational form of the provider (commercial, public or nonprofit). The picture is complex. But, there is definitely a common trend: Commercial providers are on the march; nonprofits and particularly public providers are loosing ground. Münster participated in the EU-funded Framework 7 research project that investigated social innovations at the local level. A key finding of the Münster team was that in the city of Münster social innovations work best, if they are put forward by strong coalitions of local stakeholders. A key stakeholder for innovative governance in Münster is doubtlessly the local municipality and hence Münster´s administration. Under the EU framework 7 of Marie Curie Münster is the co-ordinator of a scholary exchange program which is hosted by Georgetown University in Washington D.C. The program focuses on the topic of innovative governance in local administration in the U.S., Germany and Denmark. Funded by the German Federal Government (BMFSFJ), the project investigated at the local level of governance initiatives and nonprofit organizations as well as departments of local governments that aim at providing support and advice for local nonprofits as well as for community members and citizens interested in volunteering. The project focused on the topic what works best and how to co-operate. The project, funded by the German Federal Government (BMFSFJ), investigated how nonprofit organizations in selective policy fields (arts and culture, social service provision, and sports) cope with changing environments. In particular, the project addressed the topic of whether the increased trend towards commercialization of nonprofit organizations endangers their civicness. Are NPOs working in competitive markets still able to fulfill community functions? It is still possible to work with volunteers? Do they still lobby on behalf of specific groups?